Cruising the Pacific Coast: California to Alaska takes you from sunshine to snow, with a number of cruise lines available. These offer different prices depending on the duration of the cruise. On the trip, you have the opportunity to see some of the world’s best glaciers, coastal line, mountains and wildlife – including penguins, polar bears, seals, whales and dolphins. The greatest part about a cruise is that the price includes so much more than you think – you get accommodation, activities including pools, casinos and live shows, food, sight-seeing and port call day trips. With a cruise in option you get more ‘bang for your buck’. The cruise between California and Alaska is quite unlike any other, due to the range of weather you have the opportunity to experience. Alaska is a destination known for its vast varying weather changes; in January it can reach average high temperatures of 17 degrees Celsius (62F) whilst the low has reached a recorded -62 degrees Celsius (-80F). In the July and August period, temperatures reach anywhere between 30 to 37 degrees Celsius (98F). CA, on the other hand, is known for its sunny and warm weather. The average temperature sits around 20 degrees Celsius, whilst the low doesn’t drop below 10 degrees. When you book a cruise from California to Alaska, you truly are getting the best of both worlds – and seasons. The biggest port of call for cruises heading north to Alaska is in San Francisco. One of the largest and most internationally recognised companies, Celebrity Cruises, offers the ultimate luxury cruises between San Francisco and Alaska. Most cruises run between 11 and 17 nights, and stop at a number of port calls on the coast of Alaska. The cheapest option for Celebrity Cruises starts from $1049, and includes twelve nights aboard the Celebrity Century ship with port calls at Ketchikan, Icy Strait Point, Juneau, a cruise in the beautiful Tracy Arm Fjord, and finally Skagway. From there, the ship sails towards British Columbia, before a final stop in Oregon and then arriving for departure in San Francisco. For those of you willing to spend a little extra to see a little more, you can splurge to cruise on the Celebrity Infinity ship with internal rooms from $4150 or ocean view rooms from $4500 approximately. Keep in mind that fares alternate between the seasons and peak travel times – you may get them more or less than what is advertised. On board the ships of Celebrity Cruises, you will be treated like a celebrity – given the very best of what life’s luxuries have to offer. There are exceptional dining facilities, sleek and modern rooms, expert service and a huge range of activities for guests to enjoy. Silversea is a cruise line of finesse and luxury, known for its extraordinary worldwide voyages. Each ship is sleek and modern in design, with sophisticated rooms, dining and activities for guests. It’s no wonder why Silversea is great for couples – it’s basically built for honeymoons and couple retreats. 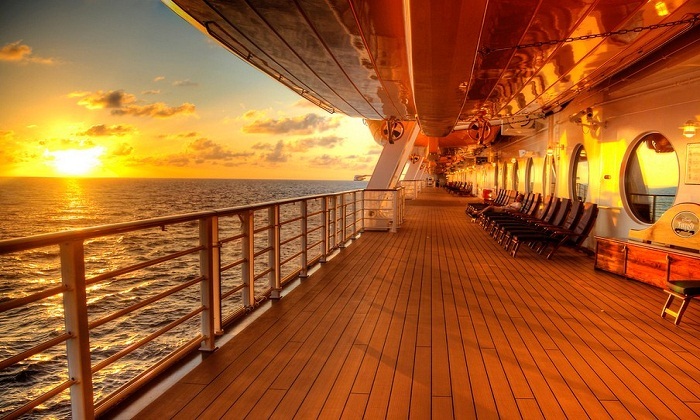 Aboard your cruise, you become accustomed to a world of complimentary. Your fares are all inclusive to beverages in the duration of the cruise, including fine wines, champagne, spirits, beer, water, coffees and soft drinks, as well as 24 hour room service, shore-side events upon docking and transportation into towns in ports of call. To travel on the Silver Shadow cruise, from Vancouver to San Francisco via port calls throughout Alaska, the starting price is $5600 in the internal Vista Suite. Prices range depending on the room and the period of booking, and can peak at $18000 per person – this is as luxury as cruises come. The cruise includes port calls in Ketchikan, Juneau, Skagway, Sitka, Prince Rupert, Victoria, Astoria and then to San Francisco. Jump aboard one of the youngest cruise lines, Norwegian Cruises for an experience that’s out of this world. Norwegian cruises focus primarily on the scenery – especially the glaciers from Alaska and Canada and the Pacific Ocean coastline off of California. From only $940 USD per person, you can cruise for thirteen days on the Norwegian Sun and experience the magnificent coastline and landmarks up close, including Astoria and West Coast Lighthouse. The cruise focuses on the glaciers in Juneau, and sailing through the mysterious Inside Passage for opportunities to see the wildlife. This cruise docks in Los Angeles, then travels north to San Francisco, with port calls in Astoria, Victoria, Vancouver – a cruise through the Inside Passage – then further travel to Juneau, Skagway, Glacier Bay, Ketchikan and then back to Vancouver.